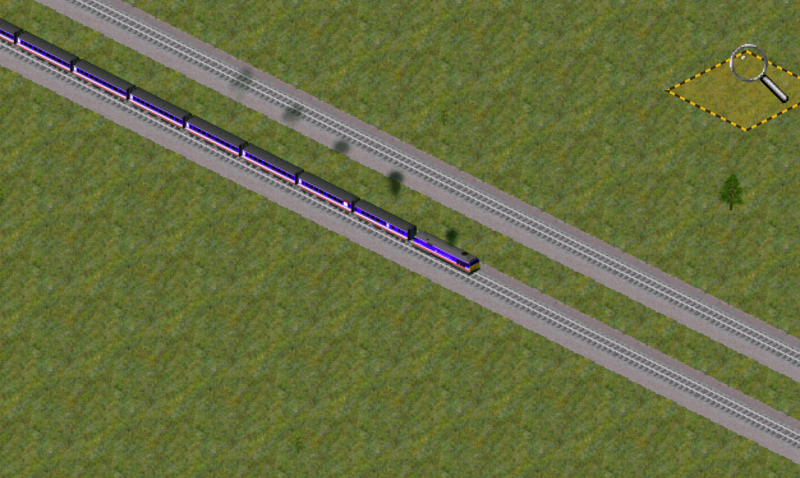 I have created the Scotrail livery for the carriages used in the Glasgow-Edinburgh shuttle in the 80s. 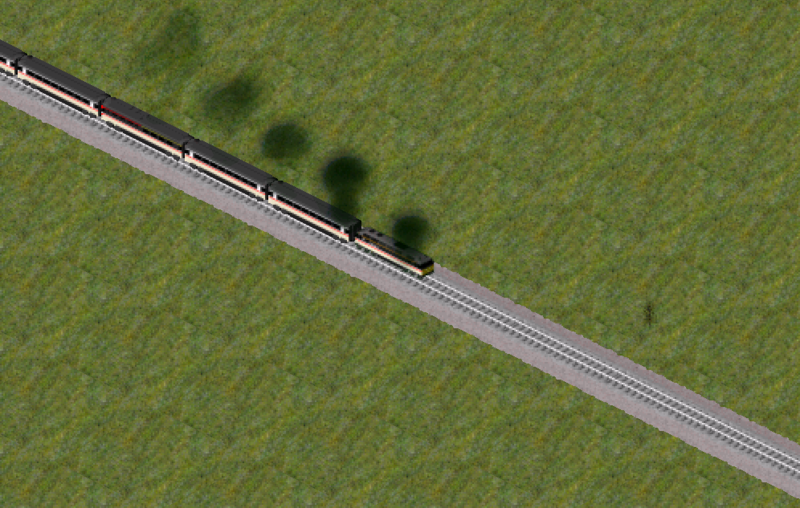 They are available on the new-liveries branch of my repository. 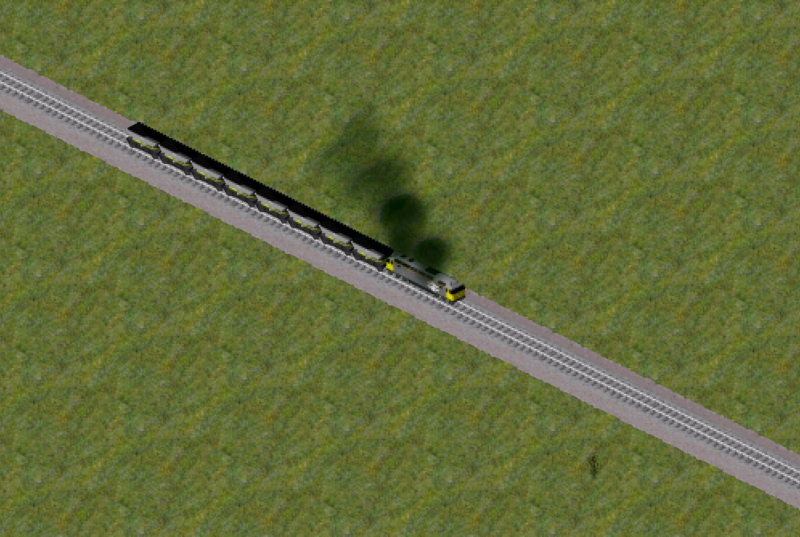 Incidentally, the DBSO cannot presently be used with the Mark 3 carriages in the pakset. Is there any obstacle to implementing this? Thank you very much for this. I see no reason in principle that the mk. 2 DBSO should not be modified to be able to couple to the mk. 3A carriages. 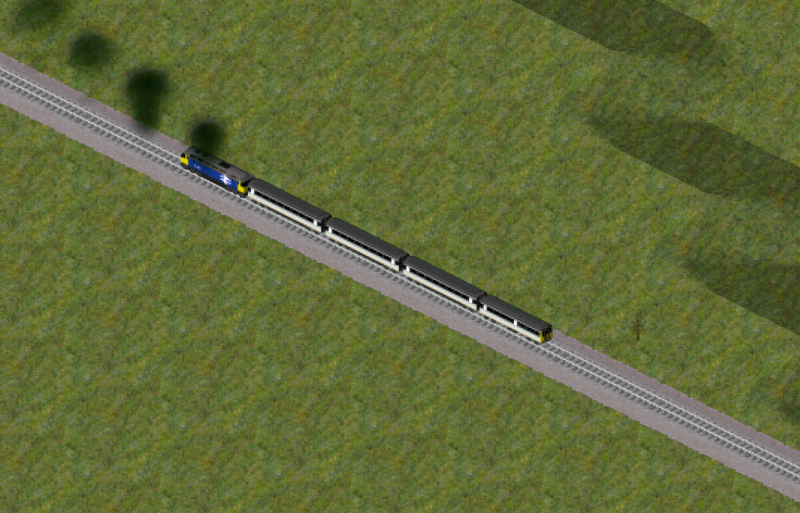 I have just implemented that to the new-liveries branch. You do not need to compile to have it incorporated into the "official" pakset, you simply need to send your graphics to James or make them publicly available and send us a link. It would of course be best if you set up your own Github repository from which James could simply merge the changes you make into the main repository. Would you be interested in a guide into setting up a Github repository for that purpose? I'm going to post the graphics here to make it easier if thats ok? A more practical compromise would be if you uploaded a zip folder with both the graphics and the amended .dat files. So then everyone, here it is! The Connex livered class 455. You need to add the entries for the images in the .dat file as instructed in the step-by-step guide, otherwise it won't compile. Also, the definition for the Connex South Central livery is spelled "Connex-South-Central". All livery definitions are at the bottom of the pakset simuconf.tab. 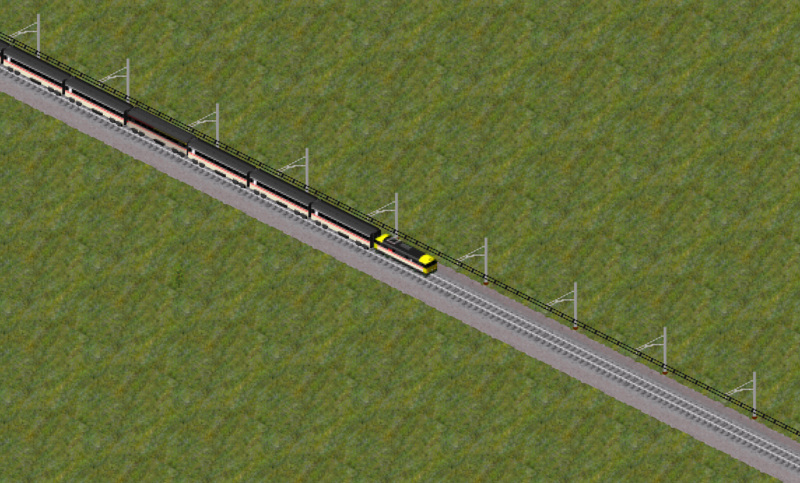 Finally, we will also need separate graphics for the trailer, which are shared with the Class 317, as well as for the rear driving trailer, which you can make by rotating the front driving trailer and re-rendering. -Press A to select the whole model. If you had something selected from before, press it twice. -Go to Object > Transform and select "Origin to Geometry"
-Press Shift+S and select "Cursor to Selected"
-Press R and type "180" to rotate. -Show all layers by shift-clicking them in the layer manager shown above. Then you can render. Oh, and it would save us some time if you added the entries to the latest version of the .dat file. Splendid, thank you very much, those are excellent. Now incorporated. Oh, kk. Right now, I cba to bother with those type of things, I'm rn focusing on getting liveries up to date. But, I'm still going to try and do that. Rollmaterial - splendid as ever! Now incorporated into the master branch. If you cannot be bothered to complete the work of adding the liveries, may I ask why you expect others to be? I am not saying that I dont want to give it a go but like I'm not very used to blender to I will kind of mess up but I'll give it a try in due course. Don't worry about messing it up - you cannot do irreversible harm. Making mistakes is how one learns. Once you get used to the work flow, you will find that it is quite straightforward and minimises the amount of repetitive work necessary to add new graphics to the pakset. Do keep trying: I am sure that you will find it very satisfying when you manage to make a complete set of vehicles with a new livery that will compile without any alterations. How splendid! I fondly remember these locomotives and carriages in these liveries. I will incorporate these very shortly. Incidentally, would you also be able to upload your modified .blend files? It will be very useful for anyone seeking further to modify any of the vehicles that you have modified with these new liveries. Indeed, one further modification that will need to be done very soon is to add first class versions of all of these carriages. 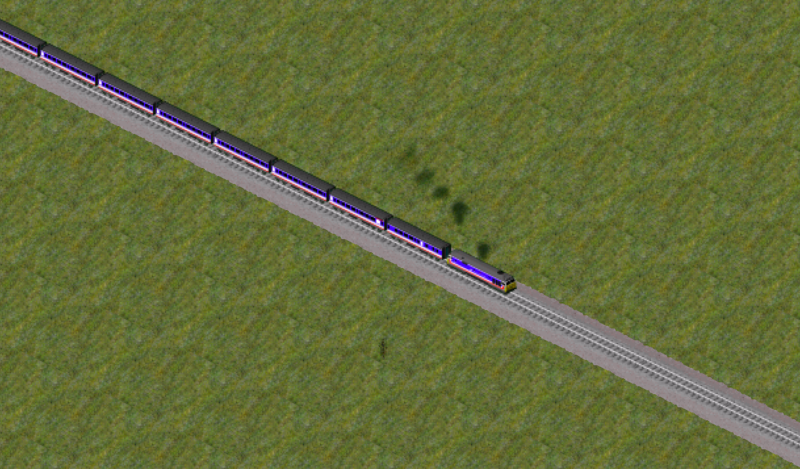 If you would like to produce the graphics for these, that would save me some time, which I could then use to expedite the completion of the other elements of the passenger and mail classes feature. Thank you again for your helpful work on this. Splendid! I had missed that. 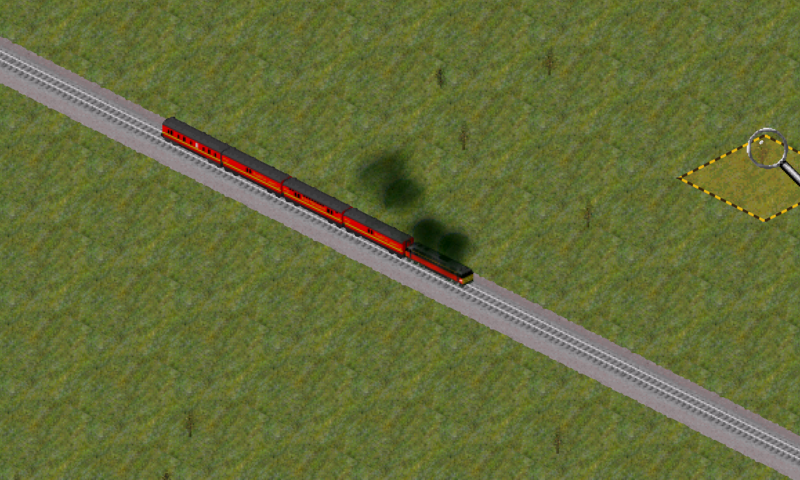 I have now committed some first class graphics to the passenger-and-mail-classes branch on my repository. Splendid, thank you! I will add the .dat files later when I move onto railway vehicles - I am currently concentrating on town buildings and attractions. May I ask if a Railfreight livery definition exists? Yes, I did add it. If you would like to add a livery and the definition for that livery is missing from simuconf.tab, do feel free to add it. 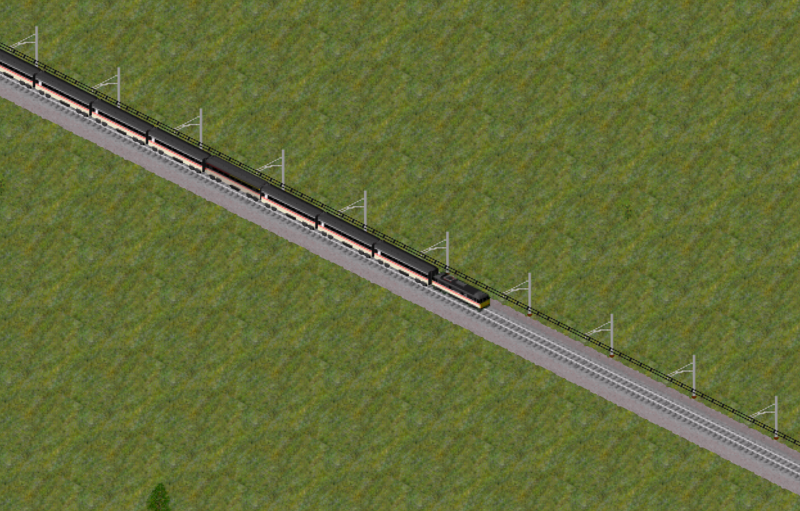 I have just completed the graphics for the first class and composite Mark 1 carriages. They are on my passenger-and-mail-classes branch. Splendid, thank you! That is extremely helpful. Edit: One query, if I may: I see that you have put the new vehicles into a dark green livery. This green livery is used with some Mk. 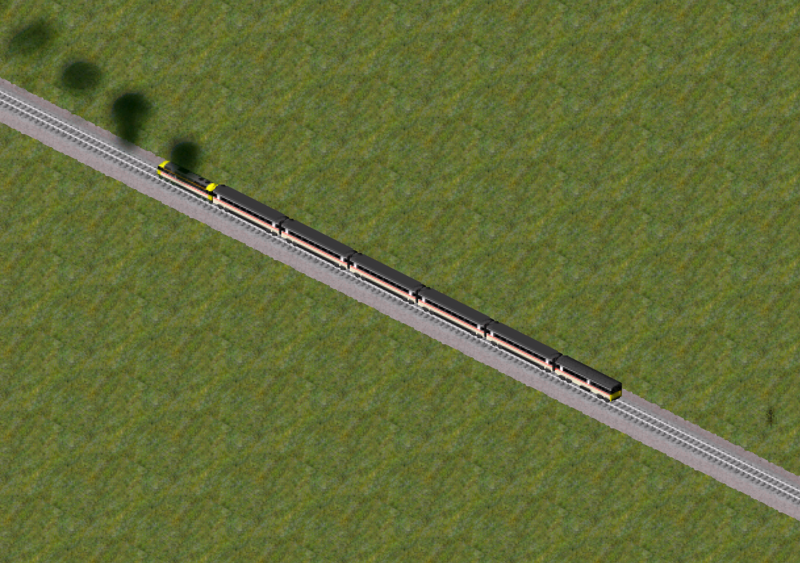 1 carriages, not as the Southern Region green (which was lighter), but to use the graphics for the Mk. 1 carriages as part of certain multiple units that were painted in that green colour, as many of the centre carriages of these multiple units looked nearly identical to the locomotive hauled Mk. 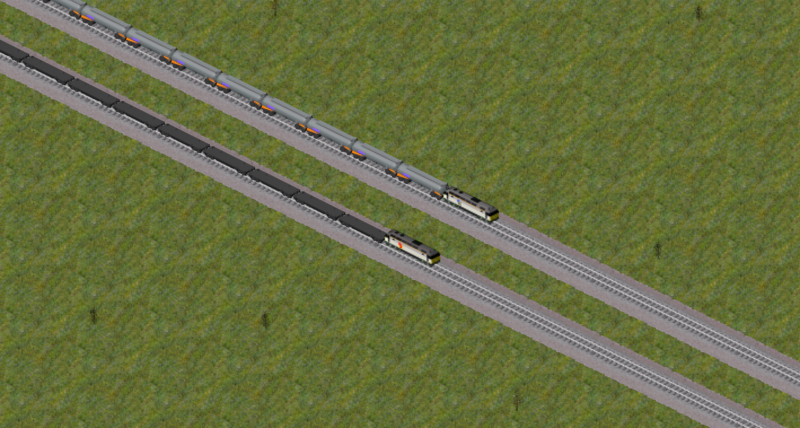 1 carriages. I do not think that these multiple units had things like a BCK. Had you prepared these graphics thinking that they were intended to be Southern Region green? I had wondered whether to add the two regional colour schemes of the later British Railways liveries (the Western Region and the Southern Region), but had provisionally decided against it on the basis that it would require two new livery schemes just for those two liveries. However, if you would like to add these, do feel free to do so (so long as you add the necessary BR(S) and BR(W) livery schemes), albeit it might be quite a bit of work for a relatively limited reward, especially considering that one may then want to have some of the later pre-nationalisation carriages in the same schemes, too (such as the Bulleid express carriages, for example). Whether you think that this is worth your time I will leave to your discretion. 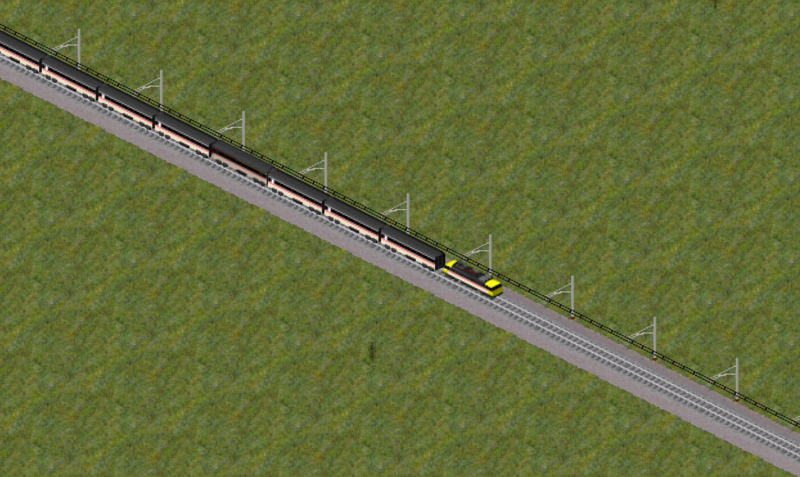 It is worth noting how the pantographs become hardly visible with the new transparent workflow. Splendid, thank you for that. I wonder whether the pantographs might be more visible if in a lighter colour? 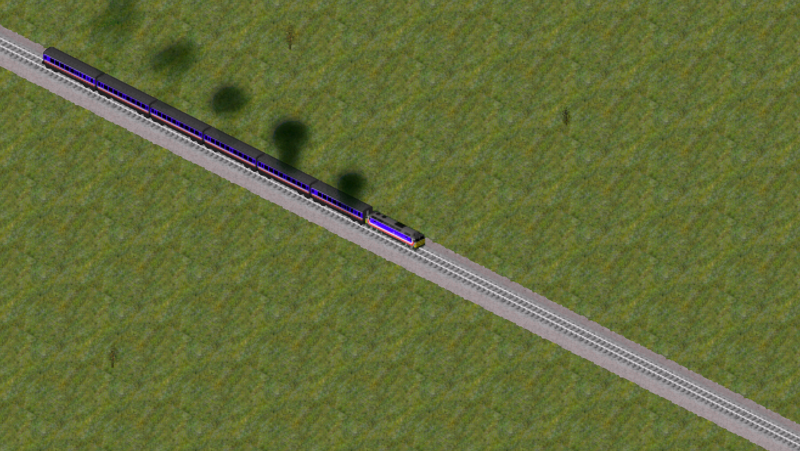 Making the pantographs lighter did indeed make them more visible. I have applied that to the other locos as well.